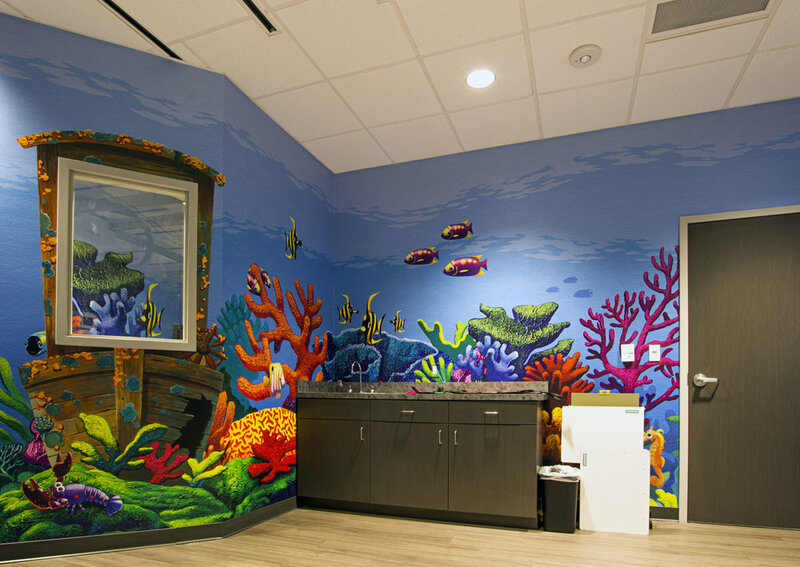 Character Farms was asked to create a relaxing beach/surf theme to help calm even the youngest patients at the new Children’s Health Imaging Center in Addison, Texas. 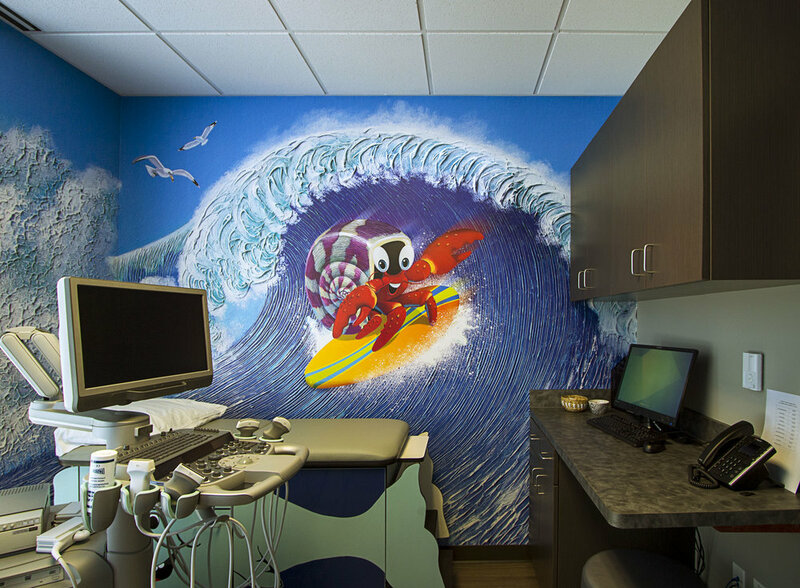 Children feel like they are spending a day at the beach, from being rolled into a huge MRI sand castle, to playing in a cool surf hut. Everyone loves the 3D palm tree, complete with five iPads with the latest award winning game apps for all ages.